The China Pak Economic Corridor is a fusion of multiple developments in the global, regional, bilateral and domestic contexts. The ultimate objective is peace, prosperity and well being of the people of the two countries, the region and the world. The global economic landscape has changed dramatically. The main drivers of this change have been technology, trade liberalization, free capital movements, advances in communication and transportation infrastructure, and creation of cross border supply chains. The centre of gravity of the world economy has shifted to the east with the emerging economies growing at a much faster pace than the developed economies. Their share of GDP doubled in the last 50 years or so. In the last decade 70 percent of global growth is ascribed to the emerging economies. These shifts reflect changes in global governance. The integration of the global economy has enveloped all areas of trade, service and movement of capital. Regional cooperation agreements have proliferated and strengthened in recent times to capture this change especially in the global economic landscape. Pakistan’s prosperity is no more a long journey as the current leadership is working diligently on such projects whose outcomes would be visible and bright in a short period of time. Recently, both the Pakistan & China Governments have made a conscious effort to focus on expanding the economic dimension of the relationship and bring it up to par with the excellent cooperation between the two countries at the strategic and political level. This impetus towards enhancing economic and trade cooperation has gained strength since the near-simultaneous change of leadership in China and Pakistan. The new Governments in both countries have signaled their commitment to strengthening Pakistan-China relations very early in their terms of office. China-Pakistan Economic Corridor (CPEC) Pakistan’s Vision 2025 seeks to position itself from a lower middle income country to high middle income country by achieving the target per capita GDP of $4200. Pakistan-China corridor is win-win for both states. Through this mega project Pakistan will become the hub of business and trade in Asia, and Western China will penetrate into Asian and European markets. It will cater to the needs of all federating units of Pakistan through proper rail and road network and multiple projects on energy within the next three years. The current regime is making the right move by strengthening its economic ties with China and that this is one of the most significant agreements signed between Pakistan and China till now, and it would stretch the depth of their bilateral strategic relations. This project is not a game-changer but a fate-changer for Pakistan and for the prosperity of three billion people of the region. We are doing it for socioeconomic benefit of the people of Pakistan and China. The Chinese President in his upcoming visit to Pakistan would give a road map about how China would pump $50 billion up to 2017 into host of projects that would ultimately generate billions of dollars besides creating numerous job opportunities. The economic corridor will not only connect Pakistan and China, but will prove beneficial in connection Pakistan with its neighboring countries in the Western border area. Functioning of the corridor will open new vista of development prosperity as a result of which the national economy will grow fast, lead to creation of new job opportunities, poverty reduction, and development of transportation sector and boost industrial growth. 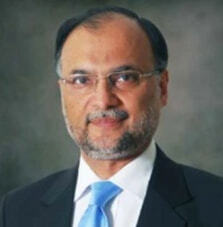 CPEC is a comprehensive package of cooperative initiatives and projects, which covers key areas including connectivity, information network infrastructure, energy cooperation, industries and industrial parks, agricultural development, poverty alleviation, tourism, financial cooperation as well as livelihood improvement including municipal infrastructure, education, public health and people-to people communication. With the experience to be gained in the process of project construction and improvement of local economy and security conditions, CPEC will not only benefit the entire Pakistan but will also contribute to regional peace, stability and prosperity It is estimated that about 3 billion people from China, South Asia and Central Asia, would be benefited from the economic corridor. It has the potential to empower half of the world’s population living in Asia, by developing special trade routes between China and Pakistan. Economic Corridor is the most important agreement signed between Pakistan and China till now. The Governments of both the countries are keen to help with planning and providing an enabling environment but the actual success of this Corridor will happen when people of China as well as Pakistan own the development process relating to the Corridor and work with each other for opening up all the cooperation fields . I am personally very grateful to the Chinese investors and other stakeholders including Pakistani private sector who have taken a very positive active role in steering forward the vision of our leaders and materializing this grand dream which I am very certain shall prove to be a game changer for future of our countries and is our common goal. Soon after assuming power, PM Nawaz Sharif paid a visit to China where the historic MoU for China-Pakistan Economic Corridor (CPEC) was signed on 5th July 2013 in the presence of the Prime Ministers of both countries.This MoU kick-started a series of economic activities which can prove to be a game-changer for the entire region and uplift the lives of about 3 billion people across China, Central Asia, South Asia and the Middle East. The corridor will link Kashghar in Western China with the deep sea Port in Gwadar, Pakistan through a mesh of communication networks comprising of a world-class seaport, commercial sea lines, an airport, highways, railways, fibre optic cables as well as oil and gas pipelines. For China, CPEC is part of a wider ‘One Belt, One Road’ strategy to develop its western region and link the Silk Route Economic Belt to the 21st Century Maritime Silk Route. Chinese President Xi Jingping also proposed forging a China-Pakistan community of Shared Destiny during his meeting with President of Pakistan Mamnoon Hussain on 19 Feb, 2014. For Pakistan, it is the realization of one of seven pillars of growth relating to regional connectivity of its development strategy Vision 2025,that aims to make the country the next Asian Tiger. Today,a crucial chapter in the history of this mega-project stands to be inked with the visit of Chinese President Xi Jinping to Pakistan. linking China, South Asia, the Middle East and Central Asia offering great opportunities for investors from all over the world. and long term planning consisting of relevant experts from both sides have been formulated. These working groups and the joint cooperation committee have been meeting periodically over the past two years. Due to the hard work of leadership, diplomats and officials of both countries, a portfolio of $45 billion to be undertaken under CPEC has been approved in record time. been assigned top priority to help Pakistan overcome energy shortages in order to achieve higher growth rates for speedy development. The corridor projects initially envisage $34 billion investment in energy sector and around $11billion in infrastructure sector. MWs of coal based power generation projects, 1,590 MW hydro power project, 1,000 MW solar project and 3.8 MTPA coal mining project which will be launched during President Xi Jinping’s visit . Remaining projects are in pipeline and will be launched upon completion of procedures. Gwadar Port Project is the centerpiece of Pak-China Strategic Partnership with its strategic location and potential for becoming the future economic and energy hub. The cluster of projects under China-Pakistan Economic Corridor will transform it into one of the world’s leading port cities having top-class commercial and tourist facilities, integrated infrastructure and investment opportunities. This will make Gwadar a catalyst for development of Makran Coast and Baluchistan in particular, and Pakistan in general. CPEC is not the name of a single route or alignment, rather it is a comprehensive package of cooperative initiatives and projects encompassing regional connectivity, information network infrastructure, energy cooperation,industries and industrial parks, agricultural development and poverty alleviation, tourism, financial cooperation as well as livelihood improvement including municipal infrastructure, education, public health and people-to people communication which will result in thousands of new ventures and millions of jobs in every part of country. Secondly, CPEC will benefit all provinces and bring peace,harmony, cooperation and economic development in the entire country. The provincial capitals Quetta, Peshawar, Karachi, and Lahore are all major nodes of the project,whilst less-developed regions of the country including FATA, KPK, AJK, Gilgit-Baltistan, South Punjab, Thar in interior Sindh and Gwadar in Baluchistan, will be brought into the folds of active development. Harnessing the wealth of hitherto untapped coal reserves for the last 67 years in drought-ridden Thar will transform it into an energy capital of the world. the same time these principles have remained elusive in Pakistan, whose development scheme got side-tracked time and again by civil-military tussle and inconsistencies in policies, pushing us into the list of least developed countries. Chinese Leader Deng Xiao Ping framed a vision in 1979 for China to become a middle-income country by 2049, and China achieved the goals much earlier by following a methodical and step by step approach based on continuity of policies. Pakistan’s own Vision documents of the past notwithstanding, today we have a strategic development framework in the form of Vision 2025 which has been praised by President Xi Jinping during the APEC Summit, that aims to put Pakistan in the world’s top twenty five economies by 2025 – and the CPEC can make this dream come true. Today, history has offered another opportunity. Forging an equilibrium between stability, reform and delivery holds key to any country’s success. Shakespeare said, “There is a tide in the affairs of man, which, taken at the flood, leads on to fortune; quitted, all the voyage of their life is bound in shallows and in miseries. On such a full sea are we now afloat, and we must take the currents when it serves, or lose our ventures.” We can’t afford to miss this tide. At this historic juncture let’s resolve to stand together as a nation in warmly welcoming our Chinese counterparts and creating an enabling environment for the China Pakistan Economic Corridor to fulfill our ambition of making it one of 21st Century’s most transformational projects.